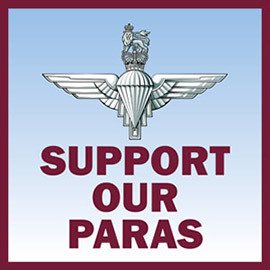 Members of The Parachute Regimental Association are now entitled to 5% off at The Airborne Shop. Before we can activate discounts on your account we will need to verify your membership with the PRA at RHQ. Once verfied, you will be able to order via the website or over the telephone. Although we will try and verify your membership as quickly as possible, please bear in mind that we have to liaise with RHQ and it may take a while in some case. Terms & Conditions apply - Please see our PRA FAQS page further details. To register for the discount, please complete the form below. We will then email or call you once your account has been verified and the discount activated.